Dr. Armstrong is the James Bobb Professor of Orthopaedics and Rehabilitation and specializes in Shoulder and Elbow Surgery. 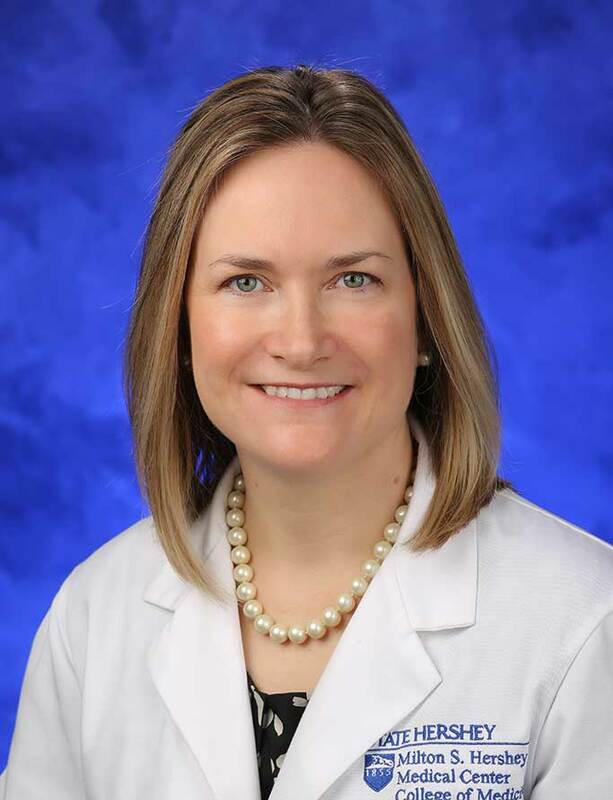 She is also Vice-Chair of Clinical Affairs and Quality for the Department of Orthopaedics, as well as Associate Designated Institutional Official (DIO) for the Graduate Medical Education (GME) office with Penn State Health Milton S. Hershey Medical Group. She also serves as one of the Board of Directors for the American Board of Orthopaedics Surgery (ABOS). Dr. Armstrong was born and raised in Barrie, Ontario, Canada. For undergraduate studies, she attended the University of Western Ontario for her BSc in Physical Therapy and then received her Medical Doctorate there as well. After her residency training at the University of Western Ontario, Dr. Armstrong completed a fellowship in Upper Extremity Orthopaedic Surgery at the Hand and Upper Limb Center, St. Joseph’s Health Care in London, Ontario and completed her Masters degree in Medical Biophysics during the same year. She then completed a fellowship in Shoulder and Elbow Orthopaedic Surgery at the Barnes-Jewish Hospital, Washington University, St. Louis, Missouri. Dr. Armstrong’s core research is on the glenoid with special focus on: morphology, glenoid component design, biomechanical loading, and three dimensional modeling. Dr. Armstrong is a member of the Zimmer Shoulder Design Team and has the potential to receive royalties in the future related to this design project. She is also a consultant for Globus, related to an elbow fracture fixation system, and has the potential to receive royalties in the future.